I just had a chance to use Griot’s Black Shine Tire and Trim Coating. I have to say that I was quite impressed with both the quality and high-gloss finish of the product as well as its easy application without overspray on the paint. 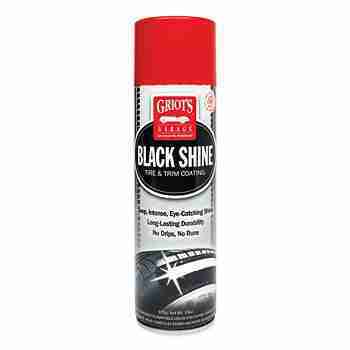 Griot’s Garage is known for top-quality products and I wasn’t disappointed; this Black Shine line certainly meets their high standards. Black Shine lays down smooth, evenly coating high-gloss for tire and trim shine. I found it a great final touch after a car wash!